As the best place for the Arts in Australia, Melbourne is getting ready to celebrate its own contemporary art festival. Presented by the Melbourne Art Foundation, the Melbourne Art Fair (MAF) is one of the nation's top events which showcases diverse works from the best galleries in the region, rivaling Adelaide's Biennale, Brisbane's GOMA and the arts festival by the Museum of Contemporary Art in Sydney. Galleries and artists have benefited from the critical and commercial attention generated by MAF over 25 years. This year's program from 13 to 17 August will continue to illuminate the thriving contemporary art scene in Melbourne and draw collectors' attention to cutting-edge, emerging and new media artists. A Collector Program has been designed with exclusive access to behind-the-scenes collection tours, hosted dinners, private parties and visits to artist studios across Melbourne. 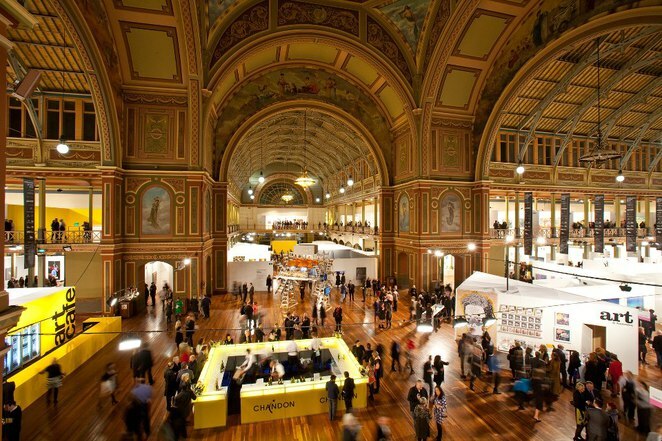 As an integral part of MAF, its Melbourne Art Week will engage the public through 7 days of exhibitions, free education programmes, projects and events, both in the magnificent setting of Carlton Gardens' Royal Exhibition Building and venues around Melbourne from 11 to 17 August. I caught up with MAF Ambassador Ian Curley to find out why he thinks the public should make August their month for visual arts. Ian is well known in the culinary scene and to gastronomes for his creative approach to classical dishes and presenting the best-in-season produce in Australia and more recently in Singapore. 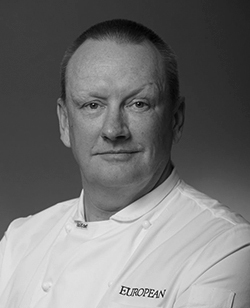 As the Executive Chef of the European Group of restaurants, he commands 7 diverse venues, 5 kitchens and a brigade of over 30 staff work in a classical bistro, a wine bar, a fabulous Supper Club and a rooftop bar overlooking Parliament House in Melbourne, amongst others. To the general public, Ian is the regular guest on culinary matters with radio station 3MP, host of his own reality show, 'Conviction Kitchen' on Channel 7 and supporter of various charities. As a non-visual artist, Ian sees himself as a total novice when it comes to art. He shared his thoughts on what the Melbourne Art Fair means to him and possibly the public. How does being a chef and contemporary art come together? I think food and art are linked by the fact that we all try, to first of all, please the eye. 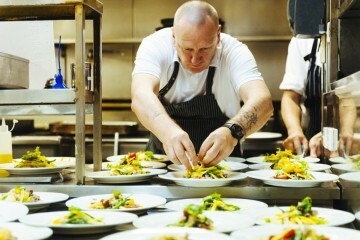 We try to express ourselves as chefs by what we put on the plate as other artists do. I think it shows our artistic side when we serve our dishes and present ourselves to our customers. What made you decide to become a MAF Ambassador? I am somewhat in awe of some the people I have met through the MAF community and am inspired to see so many passionate people involved. I was invited and gladly accepted. For MAF, I will be running 'The Angry Penguin', a pop-up restaurant located in the exclusive Collectors Lounge with Bay Leaf Catering's Head Chef, Derek Boath. I am very much looking forward to the MAF and catching up with the same people there. What is the significance of MAF to the arts community? Its plain to see how significant MAF is to the arts community as there is such an excited buzz around. This excitement is through all sorts of art works, not just painting but installations and artistes' works that are on display. 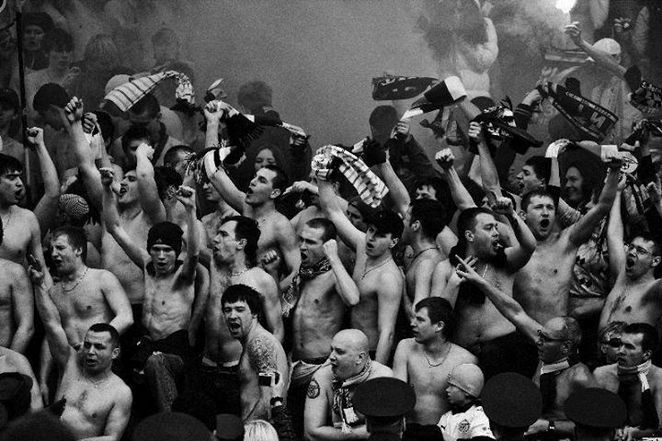 Its wonderful that the works appeals to both collectors and novices alike. 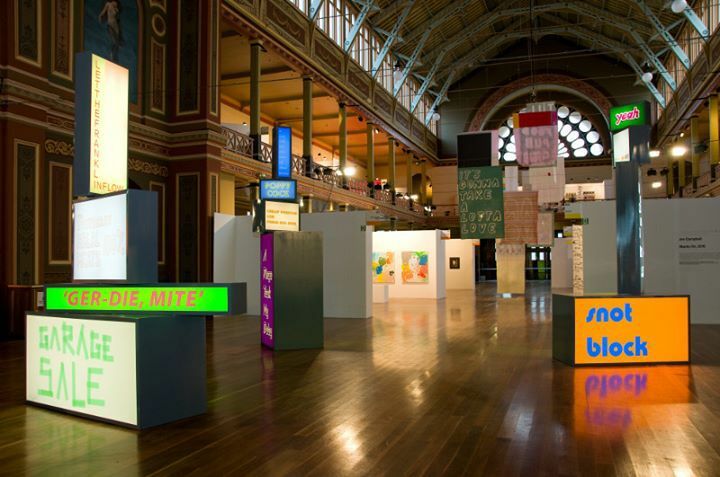 The amount of pleasure the MAF brings to visitors confirms that arts is alive and well in Australia and Melbourne. How is MAF relevant to the general public who may not know nothing about contemporary art? I personally think MAF is relevant to everybody because visitors can make up their own minds about what they like and what appeals to them. What I like and don't like will differ from others. I am an art novice with certain preconceptions and have been pleasantly surprised by the people I've met through MAF, who have helped me try to understand the various levels as to what I might be looking at. Its also great that we all have so many choices and diversity at MAF. This is a great indication of where we are culturally, to be able to have so many opinions and options. What are some of the MAF highlights? I am looking forward to several highlights including Pearl Lam's opening event, the Rolls Royce event and of course the vernissage. I am also very excited to eat in the Angry Penguin restaurant at the MAF as I think its going to be a great addition to the exhibition. 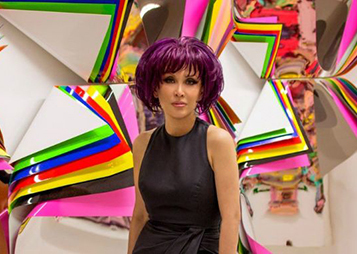 Pearl Lam is a world renowned gallerist with galleries in Shanghai, Hong Kong and Singapore. She will keynote the FREE opening session at NGV from 6.30pm to 8.30pm on 11 August. Her gallery will be exhibiting works alongside some 70 other galleries participating in MAF this year such as London's Rebecca Hossack Art Gallery, CONJU Contemporary Art and Yamaki Art Gallery of Kyoto and Osaka respectively, and Australia's own Anna Schwartz Gallery, Sullivan and Strumpf and Tolarno Galleries. The Vernissage is essentially the opening night which offers everyone an evening of food, wine and interaction with Australia's most celebrated artists, gallerists, collectors and art enthusiasts. Rolls-Royce is a luxury partner of MAF. 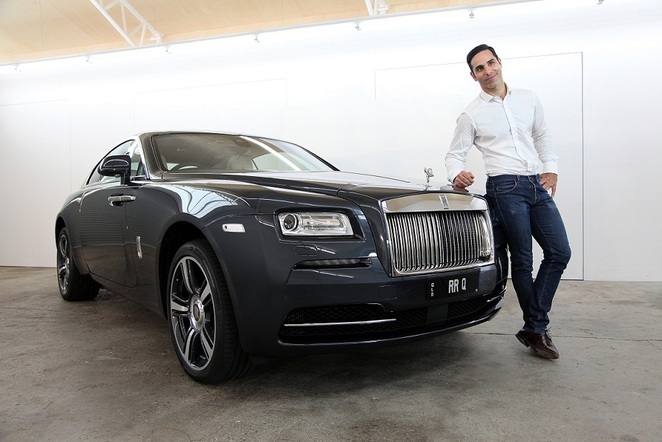 The car company is collaborating with Michael Zavros, an award-winning Australian contemporary artist in a unique installation that features a Rolls-Royce Wraith and internationally recognised twin models, Jordan and Zac Stenmark. 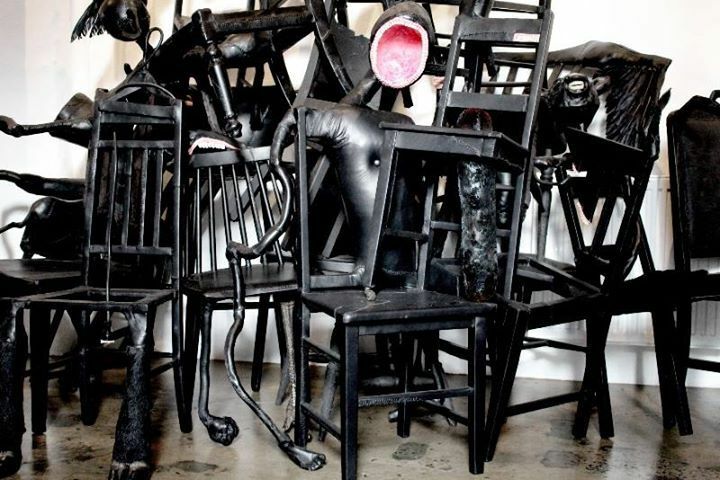 The installation will be unveiled at Vernissage, the opening night of MAF. With the focus on presenting the best contemporary art in Australiasia, visitors can expect a diverse range of paintings, works on paper, photography, sculpture, new media and installation work by the region's established and emerging talent. Visit the MAF website for more details on the Fair and to purchase your tickets. Why? 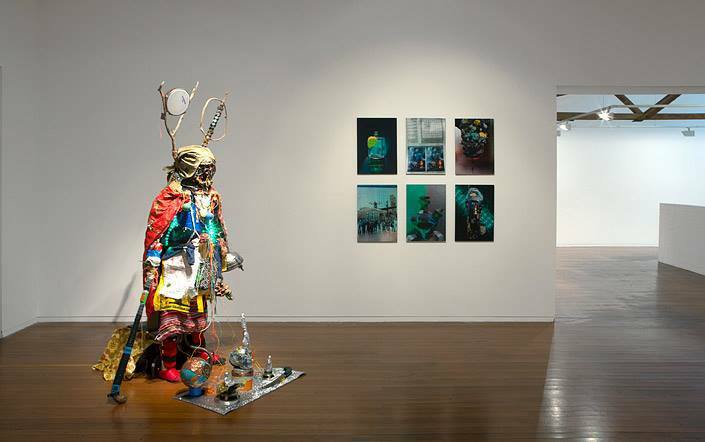 Where else can you find the best of Australiasia's contemporary artists in 1 festival?